Lithium with a twist gets second chance for HD - HDBuzz - Huntington’s disease research news. Lithium treatment of Huntington’s disease is given a second chance, as new, safer dosing methods enter the drug development pipeline. Will long-term treatment with an old therapeutic be capable of preventing or slowing neurodegeneration in HD patients? Lithium is a soft, silver-white metal. As one of earth’s natural elements, it belongs to a group of only 100 or so chemical building blocks that make up everything around us. 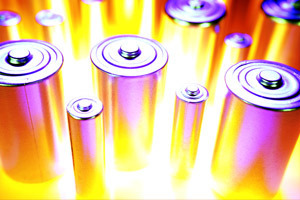 Lithium is a key ingredient of rechargable batteries. But could it prevent cells becoming ‘overcharged’ in HD? Lithium’s earliest documented medical use dates back to the late 1800’s; however, it was over 50 years before its more common therapeutic application was discovered. Administering small doses of the metal proved successful at smoothing over the emotional highs (mania) and lows (depression) suffered by people with bipolar disorder - echoing the ancient Greek tradition of soaking in mineral baths rich in lithium to soothe psychiatric mania. To this day, lithium remains one of the most effective treatments for serious mood disorders available. Although lithium has been approved for clinical use in most countries since the early 1960’s, how it works has remained a mystery. Only now are scientists beginning to understand how lithium acts on the brain at the molecular level. As it turns out, some of the chemical and biological processes known to go wrong in neurodegenerative diseases like Huntington’s disease can also be altered by lithium. Why might lithium be helpful? As HD progresses, degeneration occurs mostly in two parts of the brain called the striatum and cortex of the brain. The striatum is deep in the brain, while the cortex is the crinkly surface. Among other things, the striatum and cortex work closely together to control mood and movement. Within the striatum, a very specific type of cells called medium spiny neurons, are particularly susceptible to the disease. Medium spiny neurons cells are activated when a transmitter chemical called glutamate lands on receptor molecules on the cell surface. In HD, these receptors develop an increased sensitivity to glutamate, sending the medium spiny neurons into a state of over-stimulation. This over-stimulation can trigger a process called excitotoxicity, where chemicals within the neuron are inappropriately released, causing an avalanche of harmful effects. If the accumulated damage is too severe, the neuron will die. Excitotoxicity is one of the most established working theories of neurodegeneration for HD. Where does lithium come in to this? Well, treatment with lithium has been found to block excitotoxicity in animal models. Even better, multiple studies have now shown that lithium is actually capable of shielding neurons from cell death, and possibly even encouraging their regeneration. This is not the first time that researchers have considered treating Huntington’s disease patients with lithium. Clinical studies were conducted as far back as the 1970’s, with negative results - lithium didn’t help. However, in retrospect, the trials suffered from one significant pitfall: all the patients were already deep into disease progression before receiving their first treatment. Today, our understanding of lithium’s biological effects have changed. We are more interested in its potential value as a preventative drug, rather than to treat existing symptoms. Over the past few years, several studies in mouse models of HD have investigated the long-term benefits of lithium treatment. Instead of waiting until the mice were already sick, they were given the drug from a young age. The results were encouraging. These studies suggest that lithium has the ability to slow neurodegeneration and its associated symptoms in animal models. Nonetheless, a significant hurdle stood in the way of testing long-term lithium treatment in humans - namely, the potential for serious side-effects. Drug experts say lithium has a very narrow ‘therapeutic window’. This means that patients require constant monitoring and blood tests to ensure they are receiving the proper dosage. It’s difficult to keep the right level of lithium in the blood, and too much lithium can cause serious complications. Side-effects range from mild, such as tremor, confusion and nausea, to severe neurological deficits. Another potentially bigger downside is that long-term treatment with lithium, even at a therapeutic level, can lead to major health issues such as reduced kidney function, forcing discontinuation of treatment. This would be a huge problem for HD patients, who might be required to take lithium for decades on end. To overcome the current obstacles, a new lithium drug (NP03) and delivery system has been developed by Medesis Pharma. NP03 is a combination of lithium-citrate (a traditional lithium compound) and a new drug delivery system called Aonys®. How is NP03 different from ‘normal’ lithium? Well, every cell in the human body is held together by fatty molecules called lipids. 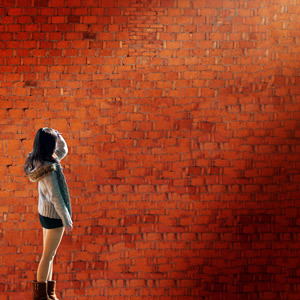 If cells were houses, lipids would be the bricks in the walls. In chemistry, some molecules are called ‘hydrophilic’ (meaning water-loving) or ‘hydrophobic’ (water-hating). Lipids are long molecules that are water-loving at one end, and water-fearing at the other. So any drug that wants to get into a cell needs to cross both a hydrophobic and hydrophilic barrier. NP03 eases lithium’s transition because the lithium is attached to lipids that can blend with the lipid ‘wall’ of cells. This means that more lithium is absorbed by the cells, and less drug is needed in order to achieve the same effect. NP03 may offer better control in long-term treatment with low-dose lithium, reducing its potential for side-effects. In a recent publication from the laboratory of Dr. Michael Hayden at the Centre for Molecular Medicine and Therapeutics in British Columbia, Canada, evidence has been presented for the long-term application of NP03 treatment in a Huntington’s disease mouse model. The mice used in the study, called YAC128, produce a human version of the mutant HD gene, alongside the mouse’s normal two copies. At about 3 months old, the mice develop movement symptoms similar to those seen in HD patient, and visible neurodegeneration occurs by 9 months. To test if NP03 had the same neuroprotective properties as traditional lithium, the mice were treated with the drug from 2 months of age onwards - before the first symptoms surfaced. The results were very encouraging. Mice given NP03 had significantly improved motor control compared to untreated HD mice. The striatum and its medium spiny neurons were spared from degeneration. Even more exciting was that, despite such a long treatment period, there were no observed adverse side-effects from the NP03. One of the most devastating aspects of HD is that it is a genetic disease, affecting generation upon generation within families. But when it comes to preventative medicines, this might actually be a major advantage. A unique opportunity exists to identify individuals who will develop HD years in advance, and to stop the disease before the onset of symptoms. A new start for lithium? In the end, we must be cautious about how studies conducted in mouse models are interpreted. There is no guarantee that NP03’s therapeutic benefit will carry over to actual Huntington’s disease patients, or that it will have unexpected side-effects. The goal of any treatment is for the benefits to outweigh the risks. In an attempt to tip the balance, NP03 takes an old drug, already approved for use in humans, and simply aims to make it safer. If all goes well, it shouldn’t be long before extended low-dose lithium treatment is ready for testing in people with the HD mutation. YAC128 one of several mouse models of HD. YAC stands for "yeast artificial chromosome".